Summer is upon us but where’s the sun gone? It’s a great time to look at what you’ve done so far this year and what you want to achieve in the coming months. I’m really excited to focus on work and my blog! 1. Go to the gym 3 times a week minimum. I didn’t go three times a week but I did go. I won’t mention how frequently or infrequently though! 2. Research my Masters degree options. I have been working so much that I’ve barely had enough time to breathe! I’m definitely going to take one but just debating whether to start this September or September 2018! 3. Minimal spending on luxuries. A goal that I can stick with! I’ve cut back on make-up spending, rarely even look at clothes and have only bought DVDs from Music Magpie at super cheap prices! 4. Blog daily! This was going oh so well until I hit the wall. Blogging daily is definitely a skill I admire but I don’t think I’m cut out for it myself! 5. Read 2 books. I haven’t even read one, oops! 6. Spend 10-15 minutes every night reflecting on my day and planning the next day. I’ve definitely tried to make a to-do list every single night for the next day. It’s so satisfying to tick tasks off! 7. Walk a minimum of 10,000 steps a day! I definitely hit this goal on most workdays but I have lazy days when I’m not there. I need to get into a routine of moving on my days off! 8. 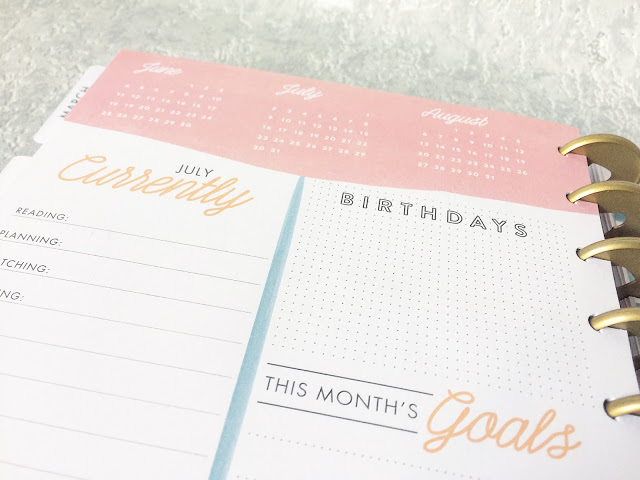 Decide what I’m going to use each of my planners for! I’ve pretty much decided on a use for two planners and that’s it. 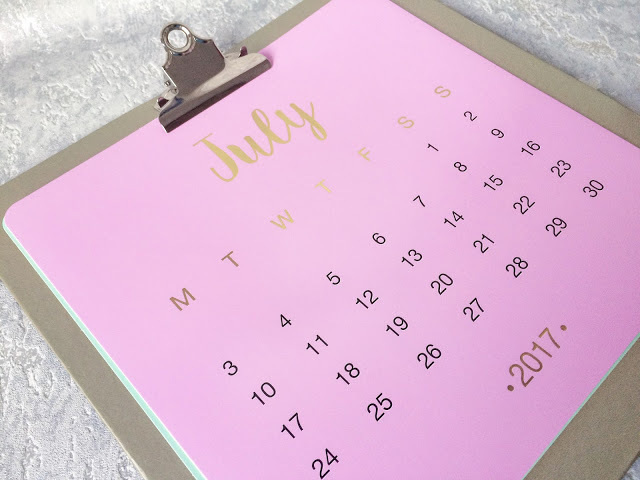 I got so confused having more than a couple of planners! 1. Get in shape. I’m really trying to focus on getting my cardio levels up but I need to start including weights and yoga! Mixing up your workouts is the best way to get in shape! 2. Save, save, save! I had done pretty well in June with saving until I booked a couple of city breaks for my week off work in August. This month is my MOT and service and my insurance is due too! I definitely want to do better with my day-to-day saving: taking packed lunches to work, less takeout drinks, only buying beauty products when I desperately need them! 3. 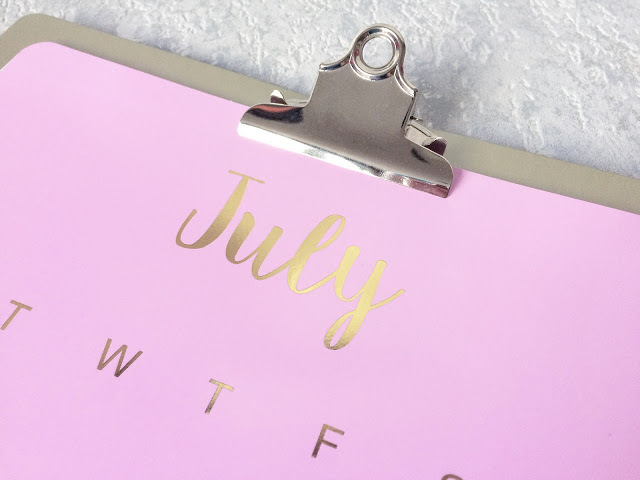 Plan blog posts for July and August. I need to get more organised with posting. I’m thinking about posting two or three times a week so at least I’m producing new content every week! Getting into a routine is a must though! 4. The month of eBay. I really need to up my game with selling my old stuff on eBay. It’s a great way for me to earn a few more pennies! 5. Try a new gym class every week. I’ve tried a couple so far but I really want to try a couple more cardio classes, such as spinning and body attack! 6. Stop snacking on a night after tea. I go through such patches with snacking. One week I’ll be really good and the following week, I can’t stop! Some consistency is what I’m aiming for! 7. Walk 10,000 steps every day! No more super lazy days! I need to start wearing my FitBit all of the time to pick up any extra steps and to keep track of them too! 8. Post daily on Instagram. Instagram is the hardest social media channel for me because as much as I am on it, I only really post when I have a new blog post out. I want to try some other shots on there too! 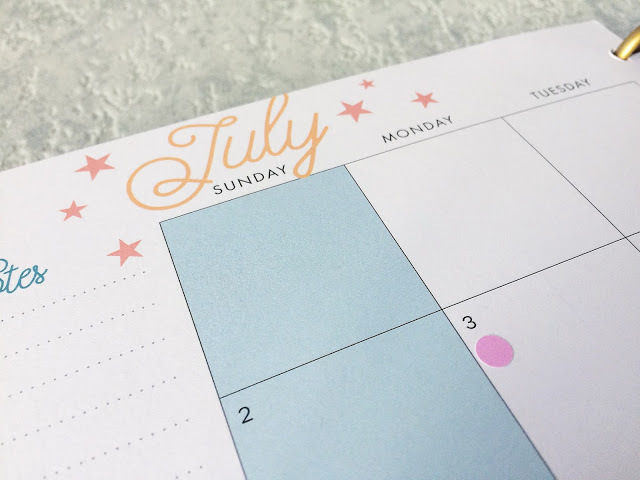 What are your goals for July? Leave me a comment below!